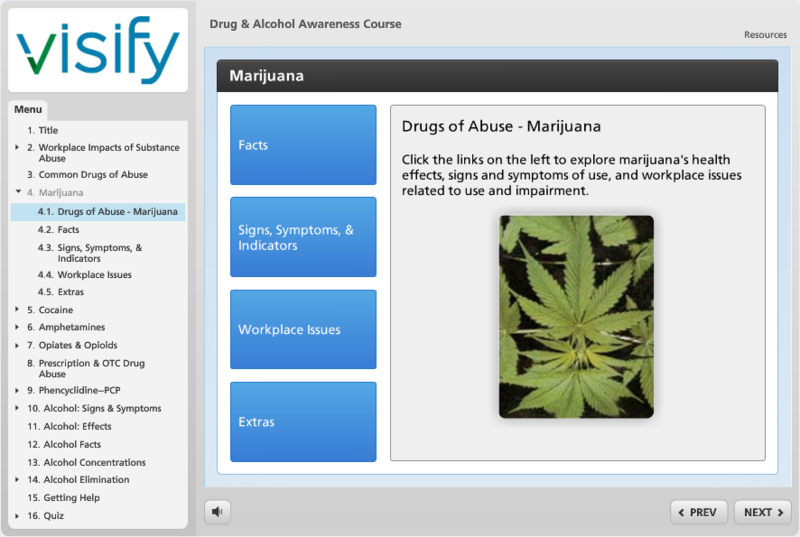 This course is designed to meet many state Drug-Free Workplace employee training requirements. Not compatible with all states. Please email info@visifytraining.com for more information. Employers that reinforce their drug and alcohol testing programs with recurring substance abuse training and education for employees generally have fewer positive tests and fewer on-the-job accidents. With illicit and prescription drugs so prevalent in today’s American workforce, educating employees on the risk of substance abuse has never been more important.